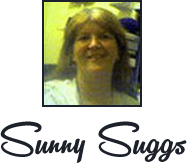 3 Days to a More Organized and Focused Business for More Profits, More Time, and More Freedom! 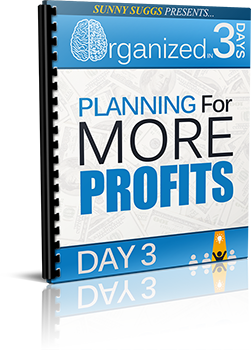 "3 Days to a More Organized and Focused Business for More Profits, More Time, and More Freedom!" Here's the dilemma that nearly all small business owners face: Growing your business requires a huge commitment in terms of time and energy. But those are the very things you started your business to gain more of, right? Instead, you're left struggling to get everything done, spending less and less time with family and friends, and in the end, resenting the business you once loved. I've heard it countless times from small business owners both online and off. They make good money, and they love the work they do, but something is missing. More often than not, what's missing is freedom. Time freedom. The flexibility to take a vacation--or just an afternoon off--doesn't exist for them. They're too busy putting out fires, drumming up new business, handling the administrative tasks that never seem to end, making sales calls, and so much more. Not to mention the actual work that they get paid to do. By the time the end of the week rolls around, they're exhausted. And not only that, they look back and wonder "What did I do all week? Where did my days go?" It's a struggle that's common with small business owners, and one many will tell you was the driving force that led to the closing of their business and going back to a job...or worse. If so many small business owners struggle, what is it that makes people wake up every day and think, "I'm going to start my own gig and get rid of my boss forever!" Travel from conference to conference all through the year. It seems like they're almost never home! Make it known that their office hours end at 3pm every day so they can hang out with the kids after school. Take a weeks long family vacation every summer. Always seem prepared no matter what comes up in business or in life. Make it look completely effortless to run a business and enjoy your life. You get the idea. Not only do they have the time to do all these things, but they have the money, too. Clearly, they're doing something right with their business, while you're still struggling. Successful small business owners never have to race to repair or cover up a disaster, because nothing falls through the cracks. Their products are planned and created well in advance so there's never a last-minute rush to market. And they sleep better at night, knowing that profits are increasing and that they have the time and energy they need to have fun in life. 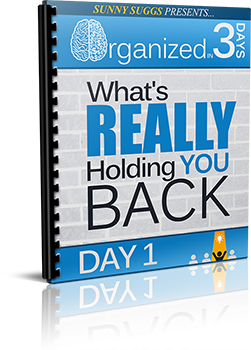 If you're tired of waking up each day to more chaos, of struggling to grow your business, and of dreaming of just chucking it all and going back to a "real job," then I want you to give me just 3 days. 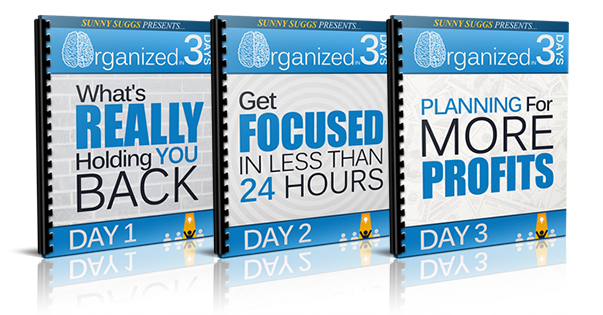 In this comprehensive 3-module course, I'm going to share with you how just 3 days of focused work can eliminate the chaos, relieve your stress, and put more money in your pocket. A simple plan for stepping back and taking inventory--because if you don't know what you have, you cannot manage it effectively. Printable worksheets to help you gain control--when everything is visible and at hand, you'll have a much easier time planning your future. Intuitive questionnaires to help you assess your business assets so you can know what you need to keep and what you can safely let go of. 7 signs your business is in trouble--answer yes to any of these, and you'll know for sure it's time to dig in and make some serious changes. Worksheets to help you find--and eliminate--the digital clutter that robs you of your productivity and distracts you from the tasks you need to complete. A membership worksheet that will tell you exactly what you're spending each month on business courses and forums--and where you can save! Don't be tempted to skip this first module. You're probably saying to yourself that you already know what assets you have and what memberships you belong to, but I can tell you from experience, you don't. Most business owners lose track of things, and the first step to regaining control is to know what you own. In this section, we're going to take a look at what distracts you most so you can clear your mental clutter and begin to focus on what really matters--and what's making money. A simple 3-step triage process that will let you set aside distracting projects without losing sight of them. The decision making quadrant--an easy way to choose which action to take with every part of your business. You'll turn to this again and again. 3 questions to ask about every current project and client--honest answers here will point your way to ultimate success. What to do with projects you love, but that just aren't profitable. 7 planning steps to help turn your projects around and keep you focused and working toward your goals. Why a block of focused time is more valuable than the same number of minutes spread out over several days--and how to leverage that time to your advantage. How to turn a favorite project into an ultra-focused and valuable business asset just by digging in a little deeper--including a revealing case study about how a tiny little niche can make big waves. How to know where your genius lies--it's not just about what you know. Module 2 is all about finding your true passions and focusing only on those projects where your dreams and talents mesh. Work through this one carefully, and you'll come out the other side with a clear plan of action and ready to move on to Module 3. 4 powerful examples of how an unhappy business owner can turn her thinking--and profits--around simply by refocusing her efforts. 7 easy steps to break down big goals into small, achievable action steps--this section alone will help you to overcome 90% of the struggles you face as a small business owner. Why big dreams must be a part of your overall strategy--as well as some ideas to get you thinking in new directions. How to kick those limiting self-beliefs to the curb, so you can stop letting YOU be your own worst enemy. Why being a solo-preneur lends itself to inaction--and what to do about it. 3 ways to find accountability if you need help staying on task and meeting your goals and deadlines (this is important in our next module). How to learn to let go--you can't make more time, you can only make the most of what you have, and knowing where NOT to spend it is the first step. 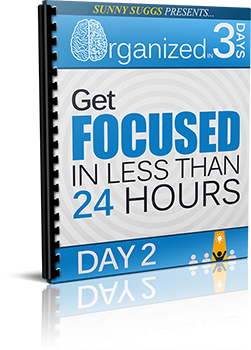 Taken together, the first 3 modules walk you step-by-step through 3 focused days to get your business back in order. At the end, you'll know exactly what assets you have, what you need to let go of (and how) and what you should be focusing on. Stop struggling and start earning the money, respect, and time freedom you deserve. All it takes is 3 days, a little concentration, and this step-by-step guide. You CAN have that business you love again, and you can do it in less time than you thought possible. This program can help. Look, I'm not going to sugar-coat this. Like any good thing, there's work involved. But this guide will walk you step-by-step through the process of refocusing your business and your mind so that you can get more done, enjoy more time freedom, and make more money. If you work the plan, that's a promise. Don't waste another day in chaos and clutter while you struggle to make sense of this business you've built. Take control. You'll be so glad you did.